Top by GREEN COTTON with short sleeves. 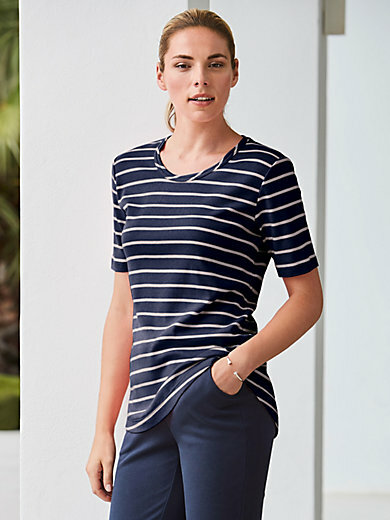 Striped tops are a real fashion favourite! With a round neckline and a rounded, slightly longer hem at the back. 100% cotton, GOTS-certified. Length approx. 29ins. The top is machine washable.